Stunning in Blue/Black & Red. Gloss finish with effective textured stripes to the main body. Good condition, light crazing to smooth finish. 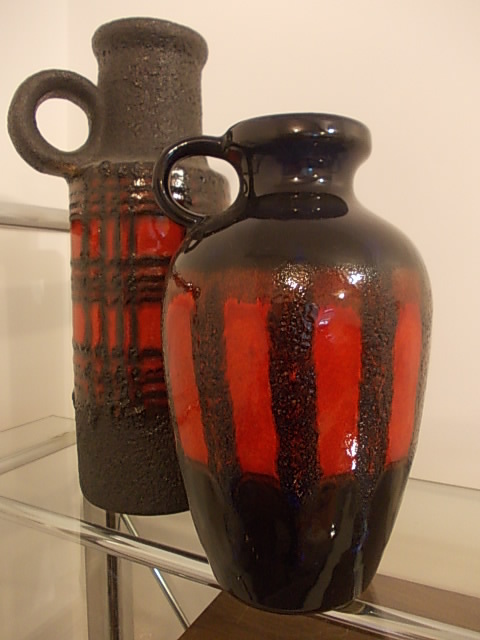 $115 West German 280mm tall Lava vase. Textured dark grey and red on Brown base.